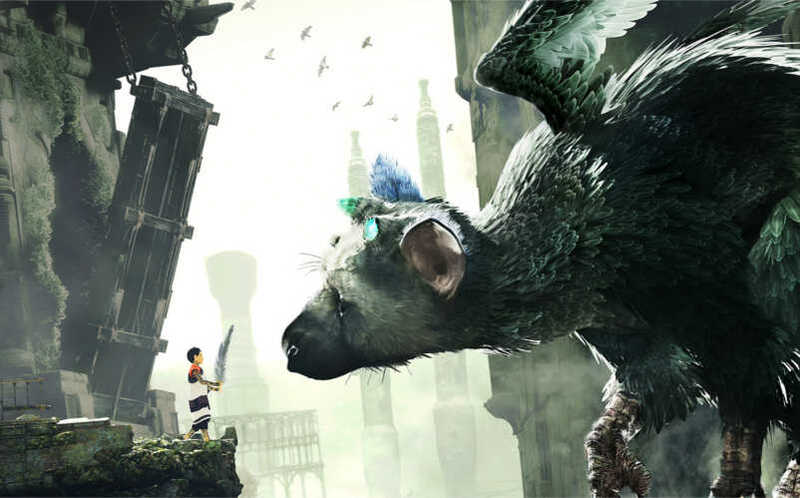 WATCH: The Last Guardian Action Gameplay Trailer | Nerd Much? The Last Guardian action gameplay trailer was released by Sony today. With less than a month until release, we are having a hard time containing our excitement. While short, The Last Guardian action trailer certainly reveals a lot of new footage for us to gobble up. We finally get a sense that there are more people present than just our two protagonists. Other Guardians were already confirmed in previous trailers, but now we see the presence of other people as well. Are they searching for you? Are they trying to harm your Guardian? The armored Guardian also intrigues us. Why is it so menacing? These are the questions we ask after just a few extra glimpses of The Last Guardian. Additionally we get a few extra glimpses of some of the gameplay we can expect. You’ll ride your Guardian across crumbling platforms and through deep waters. You’ll perform more intricate platforming to clear a path for your Guardian to follow. It the game is anything like its predecessors, we’re in for a treat. We love everything that is shown in The Last Guardian action gameplay trailer. With only 26 days left to wait, our hearts are pounding. This game has long been in development. Will it live up to the incredible hype its garnered? Probably not, but that doesn’t mean it won’t stand as an instant classic on the PS4.